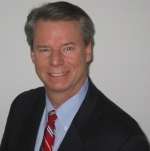 Mr. Potocek is the Executive Director and founder of Greystone Advisory Group LLC. He is a Certified Public Accountant licensed in the state of Maryland and the District of Columbia; he earned his Master's degree in Business Administration from Loyola College in 2004; and he is a fraud examiner certified by the Association of Certified Fraud Examiners. Before opening Greystone in June 2009, Mr. Potocek held the position of Director with Deloitte Financial Advisory Services LLP for 3 1/2 years in the areas of corporate and financial investigations and litigation support. While at Deloitte, Mr. Potocek lead teams of forensic accountants on various financial investigations at the request of corporate and governmental clients. The purpose of these investigations was to identify instances of waste, fraud and malfeasance; document losses incurred; identify responsible parties; identify weak internal controls; and provide recommendations for remedial action. Prior to Deloitte, Mr. Potocek held the position of assistant director for the U.S. House Appropriations Committee's Surveys and Investigations Staff. In that role he supervised investigations focused on the financial management of various federal government agencies and programs with the purpose of identifying inefficiencies and weaknesses in budget execution, procurement, and internal controls. Before his assignment to the Appropriations Committee, Mr. Potocek was a special agent with the FBI for over 24 years where he investigated federal white collar crime while assigned to the field; managed several white-collar investigative programs, including securities fraud, wire fraud and mail fraud, while assigned to the FBI's Financial Crimes Section at FBI Headquarter; and, in his last assignment, was chief of the FBI's internal audit staff, with the responsibility of conducting program management, financial management and information systems audits at FBI Headquarters, 56 FBI field offices located around the country, and 44 Legal Attaché offices located around the world. In April 2011, Mr. Potocek and the Greystone staff began an investigation into allegations of financial malfeasance by a mid-level manager at a large hospital in Montgomery County, Maryland. The allegation came in the form of three anonymous letters identifying the employee and suggesting that she was using money meant for the hospital to satisfy personal obligations and to finance exotic vacations. The letters also suggested an inappropriate relationship with someone with financial ties to the hospital. The Greystone investigation that followed included a full background of the suspected employee including several interviews, confirmation of information reflected on her resume, an income and expense analysis of her finances to determine if she had been spending beyond her means, and a review of the internal controls in the business operation in which she was employed. The investigation also included steps to identify the individual who had prepared and sent the anonymous letters. The investigation did not reveal any wrongdoing on the part of the employee and management began to suspect several current and former employees identified by Greystone as sending the letters for the purpose of besmirching the employee's character and reputation. As a result of Greystone's investigation, the employee was reinstated, internal controls were modified based in part on Greystone's recommendations and the Human Resources and Security sections at the hospital continue to investigate to identify the writer of the letters. In February 2011, Mr. Potocek and Greystone were engaged by another large hospital system located in Baltimore, Maryland to conduct an internal forensic accounting investigation concerning allegations of vendor fraud and possible employee complicity. Initial investigation determined that the subject vendor has a history of fraud and was out on bail when he initiated the fraud at the hospital. A detailed review of invoices, interviews with individuals with knowledge of the events, and review of employee E-mail and documents stored on employees' computers, determined that several employees were co-opted by the subject resulting in invoices being authorized for payment. 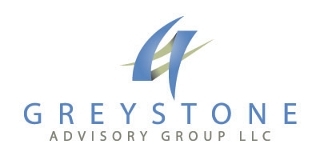 With the results of the Greystone investigation in-hand, executive management interviewed the employees involved and is in the process of determining the appropriate administrative action. In July 2010, Mr. Potocek and Greystone were engaged by a national bank to perform a forensic accounting investigation concerning a former employee. This individual worked in one of the bank's many Wealth Management offices and he exploited his position and weaknesses in internal controls, over a ten year period, to initiate hundreds of transaction diverting customer funds to satisfy his personal obligations. Due to the length of the subject's employment and number of transactions, this engagement continued until January 2011. With the client's permission, Greystone referred this matter to the FBI for investigation and the U.S. Attorney's Office in Baltimore has authorized prosecution. In April 2010, Mr. Potocek was retained by a Bethesda, Maryland law firm to provide litigation support and investigative services regarding a civil litigation concerning the placement of a "Slot Machine Parlour" at a popular shopping mall in suburban Maryland. With the assistance of Greystone personnel, the law firm and its clients prevailed in a hearing in the Maryland Appellate Court in July which agreed with the attorneys that the location of the Slot Machine facility should be put to a referendum vote. Greystone personnel continue to support the law firm and its clients in other matters. In December 2009, Mr. Potocek was engaged by a Rockville, Maryland law firm to assist as an expert witness in a civil matter alleging that defendants operated an investment fraud scheme resulting in a multi-million dollar loss to the plaintiffs. Investigation has identified multiple shell companies and bank accounts utilized by the defendants to move money to create the illusion of the investment of the plaintiffs' funds. Also determined that the main defendant has a criminal history of similar activity. With the clients' authorization, Mr. Potocek referred this matter to the FBI for criminal investigation and Greystone personnel remain engaged assisting counsel and clients with the civil and criminal cases. In November 2009, Mr. Potocek and additional Greystone personnel were engaged by a major U.S. oil company to investigate the unusual circumstances of the death of a customer at a retail store located in Suburban, Maryland. The investigation required the use of experts in the fields of arson and fire investigations, interviews of witnesses, first responders, and store employees. Engineers were consulted to determine if the incident was the result of equipment malfunction or design flaw. In May 2010, the Maryland State Fire Marshall concluded that the death was the result of a suicide and not from equipment malfunction relieving the oil company of any liability. While at Deloitte, Mr. Potocek lead a team of accounting and business process experts in the review of the due diligence policies and procedures of a multi-national development bank. The purpose of the review was to determine if the bank's current methodology was sufficient and if additional "best practices" could be incorporated to make it more effective in identifying high risk entities and individuals before doing business with them. A compliance analysis of a number of files for projects that had already been approved for funding was conducted to determine if the required procedures had been completed and sufficiently documented. The final report provided a number of specific suggestions to improve the process. While at Deloitte, Mr. Potocek conducted an internal corporate investigation of a publicly traded shipping company to vet "hotline calls" concerning the alleged theft of assets and misuse of company resources by middle management personnel. The investigation included the review of accounting data, fixed asset inventory records, E-Mail review and in-depth interviews of all relevant individuals. Although some evidence of misconduct was uncovered and reported to the General Counsel, it was determined that the calls were made in an effort to defame the managers following recent and bitter renegotiation of labour contracts with several unions. While at Deloitte, Mr. Potocek lead a team of twelve forensic accountants on a six month forensic accounting investigation of a U.S. government funded housing authority. The purpose of the engagement was to identify instances of waste, fraud, theft, abuse and mismanagement over a six year period. The results of the investigation resulted in the housing authority being placed in receivership by the government for the purpose of rebuilding the financial management and internal controls of the organization. Also lead a team of ten on a three month forensic accounting investigation of another U.S. government- funded housing program. The purpose of the engagement was to identify instances of waste, fraud, abuse and mismanagement over a four year period. The results of the investigation identified approximately $18 million of wasted and mismanaged funding and provided detailed recommendations to the government agency on how to correct identified issues. While at the House Appropriations Committee (HAC) lead a team to the U.S. Virgin Islands to investigate and document the effectiveness of the Department of Homeland Security's First Responder Grant programs, as well as the efficiency of the local government in disbursing the grant funds in an appropriate and timely manner. Also conducted an investigation for the HAC into the effectiveness and efficiency of the U.S. Court of Federal Claims following the introduction of legislation calling for the closure of the court and the reprogramming of its budget to other judicial priorities. As a field agent with the FBI, Mr. Potocek conducted a criminal investigation of the CEO of a publicly traded corporation who, it was determined, was manipulating the company's stock price through the dissemination of false and misleading press releases. In a classic "pump and dump" scheme, the CEO was trading stock he owned or controlled, selling high and buying low. As a result of this investigation, the CEO was indicted and pled guilty in U.S. District Court to charges of wire and mail fraud.